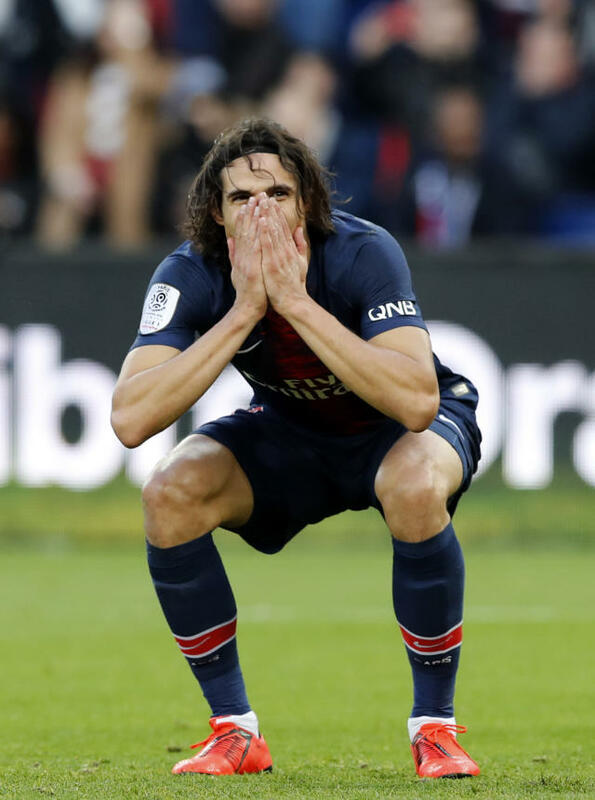 PARIS (AP) — Facing a rampant Manchester United side in the Champions League was already a tough enough prospect for Paris Saint-Germain. Tuesday night's match in chilly northwest England now looks a daunting one amid an ongoing injury crisis. PSG will be without the world's most expensive player Neymar and possibly 192-goal, all-time club leading scorer Edinson Cavani against a revitalized United side unbeaten under its new coach Ole Gunnar Solskjaer. Furthermore, PSG will go to United with doubts over whether key midfielder Marco Verratti should start the game, having played barely one hour on Saturday in a 1-0 win against Bordeaux after recovering from a sprained ankle. 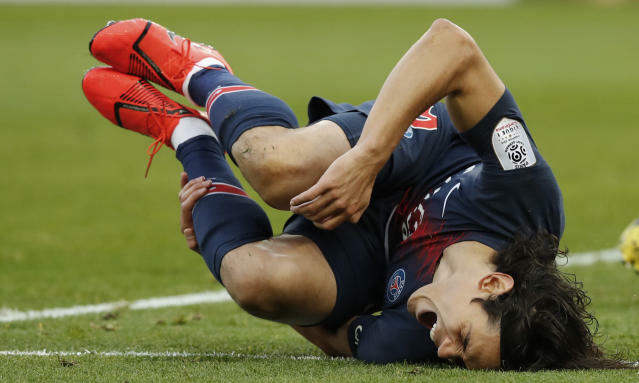 "It's very difficult to play when you've been injured like Marco," PSG coach Thomas Tuchel said. "I don't know if it's possible for him to play again at Old Trafford in three days' time. In our situation, it might be necessary." 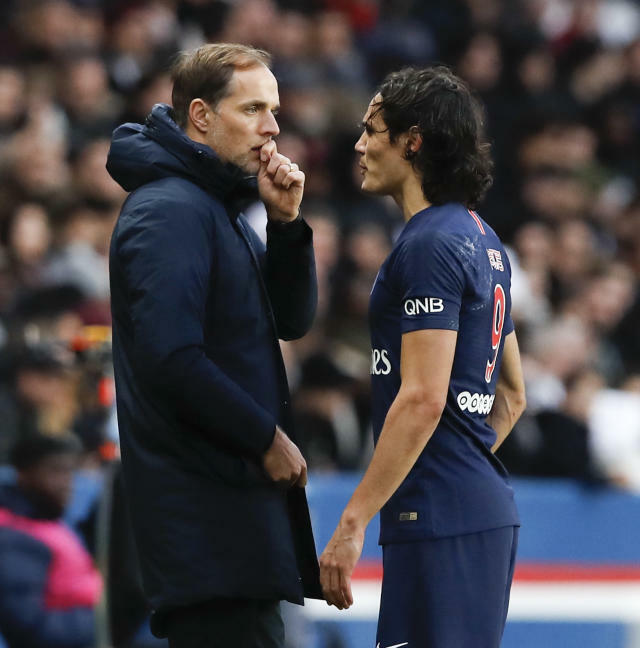 Tuchel spoke with an air of resignation after a dull encounter in which PSG extended its lead in the French league to 13 points over second-place Lille. "If your key players are not there, obviously it makes a difference. If Edinson is not in Manchester, then it is a big deal," Tuchel said. "There has been too much bad luck; these are players of great quality." 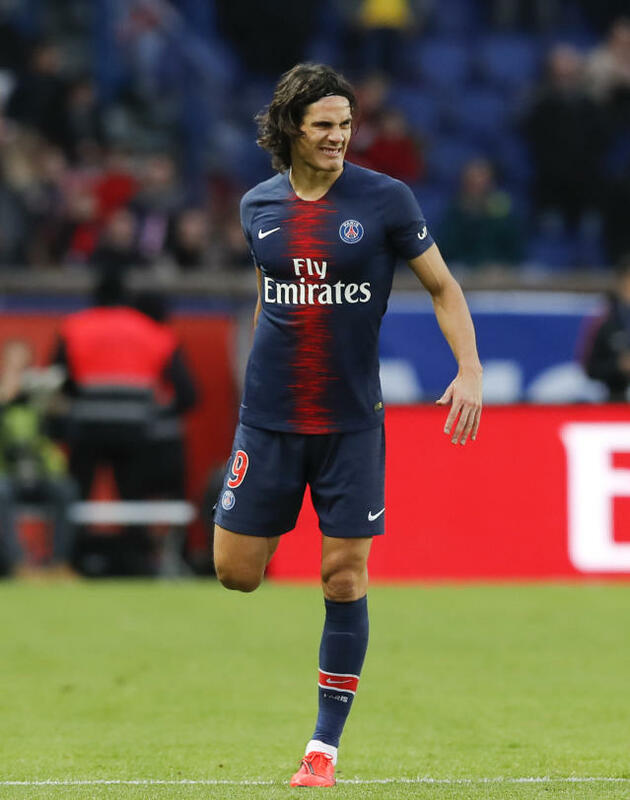 Cavani limped off with a thigh problem caused when he scored from the penalty spot in the 42nd minute, blasting the ball powerfully with his right foot. Moments later, he walked off before the halftime whistle was blown. 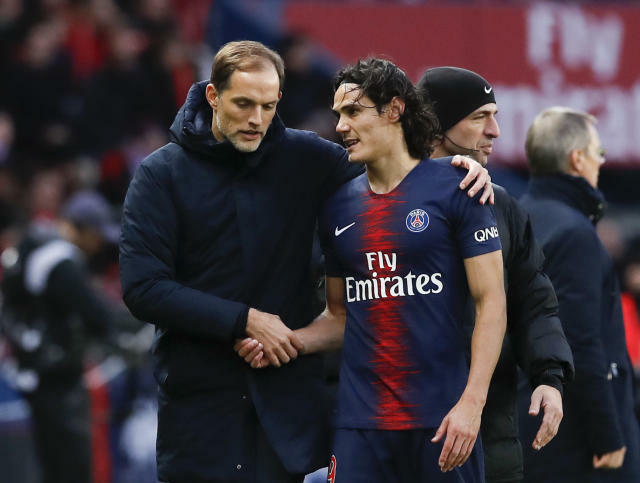 Tuchel was concerned whether Cavani will recover for the first leg of the last 16 against United. "I don't have any good news. We need to wait. I honestly don't know (if Cavani will play)," Tuchel earlier told broadcaster Canal Plus. "Yes, it's worrying. It's not a good sign. We don't have another Edi (Cavani), we don't have another Neymar." PSG is already without Neymar — who cost PSG 222 million euros ($252 million) when he joined from Barcelona — for the next two months. Verratti started against Bordeaux but looked rusty, with several passes going astray. Tuchel needs Verratti against a United midfield featuring the in-form Paul Pogba , but the 58 minutes he played may not have been enough to restore his sharpness and rhythm. Strasbourg missed the chance to move from seventh to fifth place after losing at home to Angers 2-1, with 20-year-old striker Wilfried Kanga grabbing his first two goals in the top flight. Amiens beat Caen 1-0 thanks to a goal from striker Moussa Konate and moved out of the relegation zone, while Caen dropped to 18th. This weekend, Argentine striker Emiliano Sala is being honored with a minute of applause in the top two leagues in France. The crowd at PSG's Parc des Princes chanted the name of the Nantes player at the start of the game. Nantes plans to retire the No. 9 jersey in memory of Sala , who died at the age of 28 last month. Sala was flying to Wales to start his career with Premier League side Cardiff when his plane disappeared over the English Channel. The wreckage was found last Sunday and a body recovered was confirmed as Sala's on Thursday. Nantes fans will pay their tributes to Sala in Sunday's home game against Nimes, where players will swap their traditional yellow home jerseys for black ones with Sala's name on.